About once a month on average we like to take a drive to one of the picturesque towns near Lake Chapala. I’m a people watcher and love to watch the Mexican families as we visit the different area towns close to Lake Chapala. There’s always pretty fountains, old churches, and a new Mom and Pop restaurant to stumble across if we’re in luck. No movies, no malls, no fast food places, just picturesque small town Mexican life. 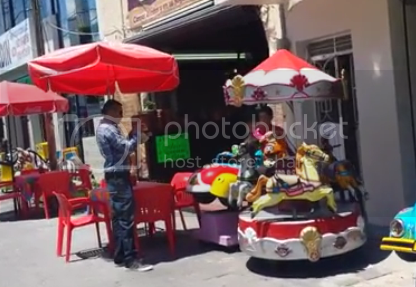 The below video is a short one of what we would call the county seat of the County or in Spanish the, “municipio” of Ocotlan. The city shares the name of the county. the highway leading into the City. We bought a really nice living room set while in the area. I did not like the chrome feet, so they agreed to change the feet to wood ones. They later delivered the set to our home at Lake Chapala. Of course we tipped the delivery guys who delivered our beautiful new living room suit. We made a significant savings over what we would have had to spend at a showroom in Guadalajara. A great productive fun day away. Come join us for a fun, productive life far away from high prices, bumper to bumper traffic, and horrible weather. You can do it and I can help. I’m as close as your computer. E mail me at Sid@ChapalaClub.com and let’s get started on your new life. Tu amigo, Sid OK, Here’s the video I promised. Disfrute (Enjoy)!